The School offers a 4-month training in acting, script-writing, movie making, stage management and more. 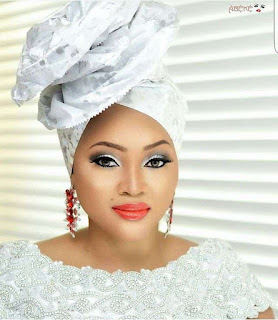 Speaking on the initiative of floating a film school, Mercy Aigbe Gentry said it's delightful for her to be an inspiration to young people who want to venture into the world of acting and filmmaking. “This project means a lot to me, I have received a lot of requests especially from my fans about creating a platform to tutor aspiring actors and I am glad we have finally kicked off. Students will be under the tutelage of well-rounded and experienced instructors who will help them build a solid foundation and develop skills needed to succeed in the highly competitive field of acting”, She said. Registration closes on the 20 of July and training kicks off on the 29 July, 2016.